The Rebel Sweetheart. 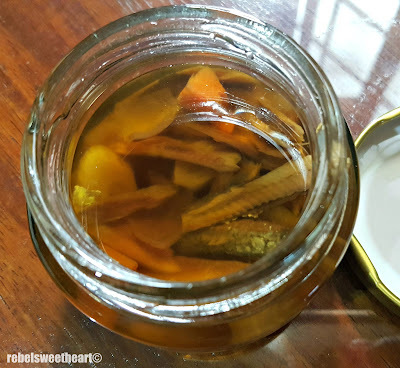 : Foodie Goodie | Neri's Gourmet Tuyo. One of the very few local celebrities that I follow on Instagram is Neri Naig-Miranda, wife of Parokya ni Edgar frontman Chito Miranda. Her IG feed features snippets of her life as a homemaker and mom-to-be, random stories about love and marriage, plus her cooking adventures. 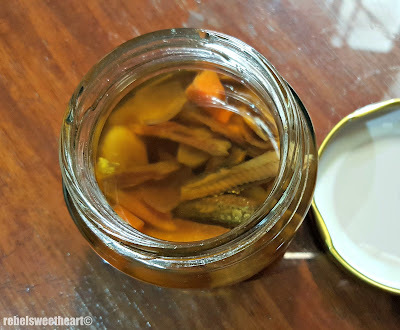 Through her Instagram, I also discovered the sophisticated version of dried herring, or 'tuyo' as we call it here in the Philippines. 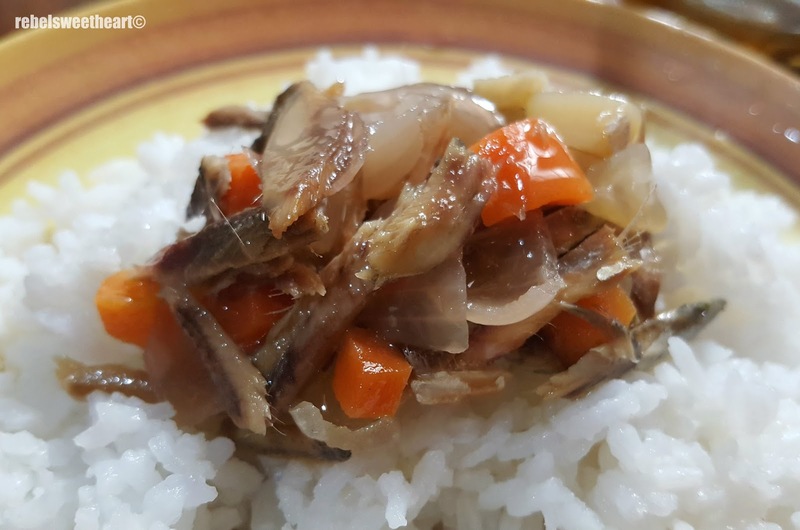 Cooked and bottled in olive oil and infused with onions, garlic, chilies, and spices, your plain ol' dried herring get's a 'face lift' and becomes 'gourmet tuyo'. I love tuyo, and have been wanting to give this 'avant garde' version a try for the longest time. I was finally able to satisfy my curiosity and satiate my craving over the weekend - yay! Old packaging of Neri's Gourmet Tuyo. Apparently, Neri's Gourmet Tuyo now has an official reseller in my area. Stocks are usually available during the weekends and can be purchased at Kpop Bang, a Korean restaurant located within the city proper. 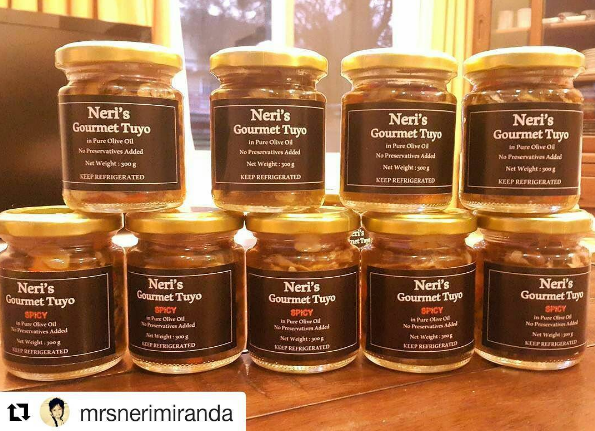 Neri's Gourmet Tuyo comes in 120 mL bottles, and is available in two variants - Original, which retails at Php 170 per bottle, and Spicy, which sells for Php 175 per bottle. I bought the Original variant, thinking that the latter might be a tad too spicy for my liking. 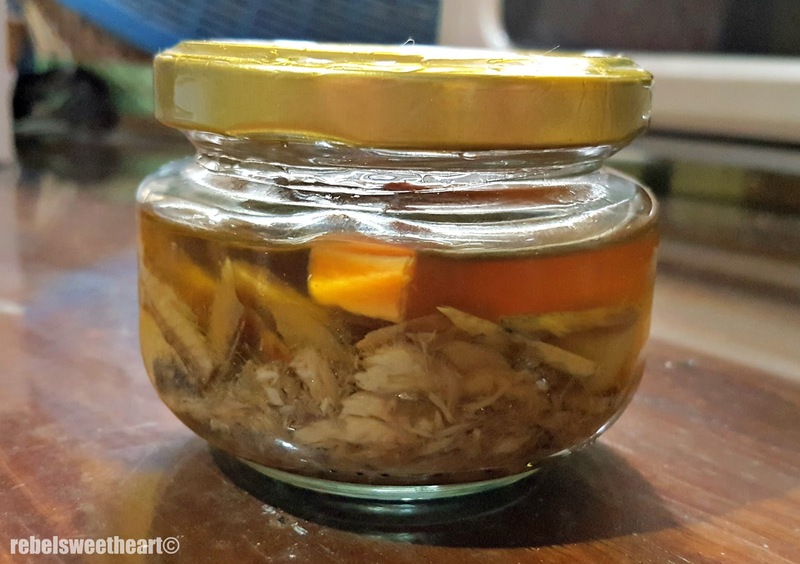 In one of her Instagram posts, Neri mentioned that she uses only olive oil for her gourmet tuyo, which is good since this oil is considered as the healthiest among all cooking oils. In addition, olive oil lends a distinctively fresh, earthy taste to virtually any dish. This gourmet tuyo is also infused with garlic, onions, and spices, plus diced carrots for the crunch factor. 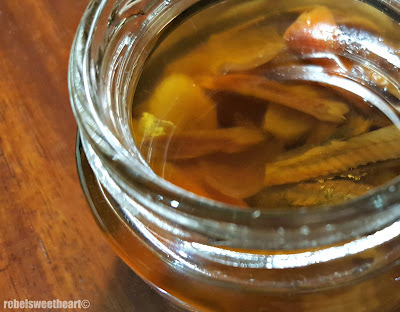 Dried herring + aromatics + spices + olive oil. I love that Neri's Gourmet Tuyo is neither too salty nor cloying, and is seasoned just right. How I wish I had bought more than one bottle, because that particular bottle was emptied in no time. Haha! Definitely buying two (or more bottles) next time! This was gone in a jiffy, lol. In the future, I hope Neri's Gourmet Tuyo will also be available in luggage-friendly packaging. As in pouches, so I can stuff them easily in my luggage and bring some whenever I visit my husband abroad. I'm sure a lot of OFWs missing the taste of home will appreciate this as pasalubong, too! It sounds delicious! I'm sure just you saying this will fuel their desire to make luggage safe packaging! Gotta please the buying customer right? That's one of my favorite ulam! Hehe. I really hope that I get to taste this one from Neri! I had no idea she made gourmet tuyo. I've never seen any in groceries. It sure looks amazing! I would opt for the spicy one since I like spicy food. It's quite affordable too! Love that she uses olive oil for these! I am hearing about the Neri's Gourmet Tuyo for the first time and it sounds really interesting. I like that they use Olive oil to make it a healthy recipe and I would love that spicy version right away! whatever Gourmet Tuyo is, sounds like its a much loved food :) I wish I could taste it!